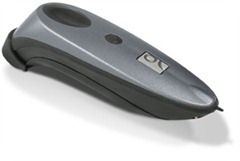 mobihealthnews: “Socket Mobile announced this week the availability of its latest Socket Bluetooth Cordless Hand Scanner (CHS) Series 7, a barcode scanner with medical applications which has been Apple-certified as a “Made for iPad, iPhone, iPod” accessory. I’ve mentioned the CHS Series 7 scanners before. They really are neat little devices; small, quick and accurate. Another scanner worth mentioning in this category is the Koamtac KDC200. I’ve used the KDC200 and it’s a pretty slick scanner as well.